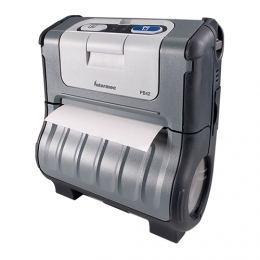 Ease of use was a major focus for the Intermec PB42 mobile printer during its development. It consistently supports employees in the field, such as delivery drivers, in the timely management of their tasks. Print receipts and vouchers with a resolution of 203 dpi and a speed of 50 mm per second. Long, uninterrupted operation is ensured by the double-battery concept with two lithium-ion batteries. The batteries are located on the front of the PB42 and can be replaced easily with just one hand.